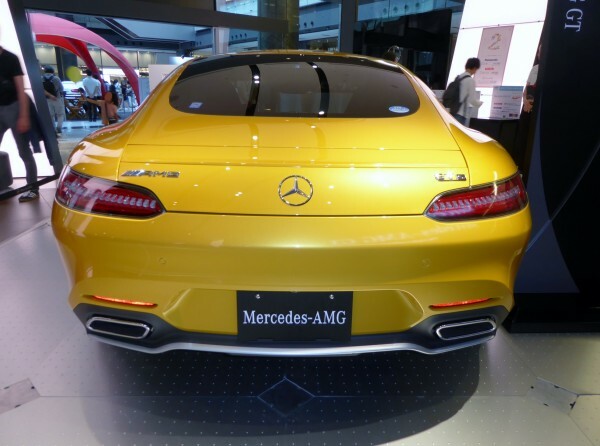 Mercedes Benz had planned to launch 15 new products this year, out of which 13 are already launched. 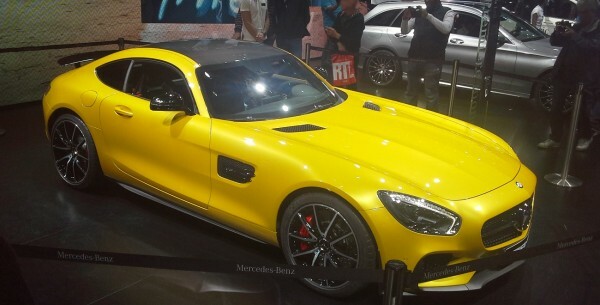 The 14th product and the 5th AMG product launched in India this year is the Mercedes-AMG GT S at INR 2.4 crore. The new supercar is the SLS AMG replacement in India. To mention a little about the SLS AMG, the car was a monster. It was the craziest it can get. The huge 6.3 liter V8 produced more than the wheels can handle. The supercar had more power than it could handle. But, its gone and what has arrived is a lot more logical equation. This the second car to be entirely built AMG, Mercedes’ performance department. The first one was the wild SLS AMG. This car gets the looks of a prominent sportcar. The structure of the car is inspired by the company’s new design language. The front gets almond-shaped LED’s with Day-time Running lights and the rear also gets LED tail lamps. The interior gets premium carbon-fiber touchings moving around the dashboard and instrument panel between the seats. It gets a standalone infotainment system like all the new Merc’s. Also Read – Lamborghini Huracan LP 580-2 launched at 2.99 Cr. The Mercedes-AMG GT S comes with a 4.0-liter, hand-built, twin-turbo V8 which produces 510 BHP and 650 NM of peak torque between 1,750-4,750 RPM. This engine is mated on AMG DCT speedshift with 7-speed sport transmission that offers five driving modes namely, C (Comfort), S (Sport), S+ (Sport Plus), I (Individual) and the ‘Race’ mode. This means, the car can do 0-100 km/hr in 3.8 seconds and go up to 310 km/hr. The suspension setup is aluminium based with electronically controlled dampers. The super car also has ceramic brakes. The Mercedes-AMG GT S comes with a lot of driver assist features such as attention assist, lane keeping assist, high beam assist, autonomous braking, collision prevention, adaptive braking, etc. Basic safety features such as ABS, EBD, ESP and airbags come without saying. The Mercedes-AMG GT S is a performance oriented supercar that is capable of handling all the power that comes from the mighty 4-liter V8 while looking good. It will take on the likes of the Lamborghini Huracan, upcoming Nissan GT-R, Porsche 911, Audi R8 V10+ and the Jaguar F-type R.